Natural lifting support with green lift complex. 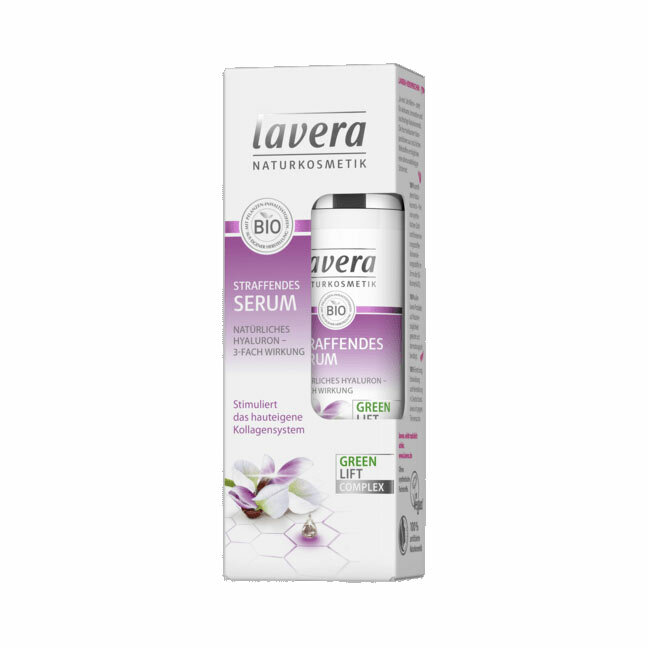 The lavera Firming Serum with lavera Green Lift Complex stimulates the skin's own collagen system and lets the skin shine. The light texture absorbs instantly and provides 3-fold effective Hyaluron and valuable Karanjaöl for moisture and comprehensive care. Application: Apply morning and evening on cleansed skin and massage in gently while avoiding the eye area.